The long wait is over, and I’m happy to announce that the second edition of Arista Warrior is in the production phase. What does that mean? It means that the book is done and the only thing really left for me to do is approve copy-edits and quality control notes. So far as I’m aware, and if everything goes according to plan, the book should be hitting your favorite bookstore shelves, websites, and e-readers by mid to late June. To give you a glimpse into the new edition, here are my notes from the preface about what’s changed. 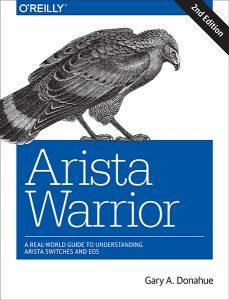 Remember, the first edition was published in October of 2012, so there’s over six years of advancement to cover which is part of why it took so damn long to finish. Well, that and having a job, family, dogs, guitars, and a life, all of which are excuses further compounded by my apparent compulsion to miss book deadlines. 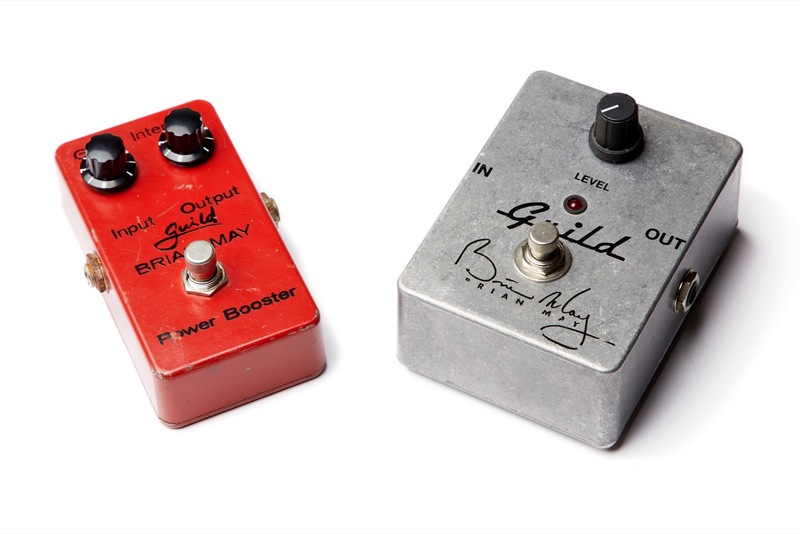 Over the years a few companies have built copies of Brian May’s famous Red Special guitar, and while they are pretty easy to come by today, that was not the case in the ’80s. One of the first to make one was Guild who, in the mid-1980s, produced a small number of these BHM1 guitars. I’ve managed to procure one of these interesting pieces of Brian May and Guild history, so join along while I give it the detailed review treatment right down to the magnets in the pickups. 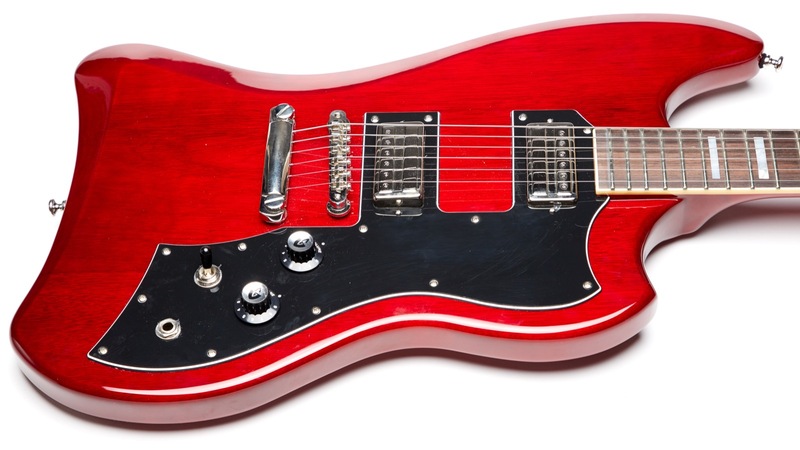 This 1966 Guild Starfire III came to me as a surprise gift. Well, it came to me after I apparently bought it on eBay while under the influence of Nyquil and Aged Rum. Well, it was fine Aged Rum and Coke (the real Mexican kind with real sugar, dammit) and then a shot of Nyquil. Maybe two. At least I think that’s what happened because the next day I woke up to a shipment notification for a this 1966 Guild Starfire III in very nice condition that I didn’t remember purchasing. Anyway, it’s here, so let’s review it! 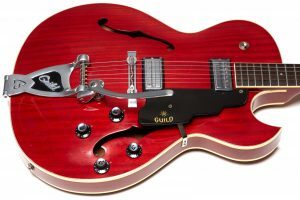 Guild released a couple of variants of the T-Bird around 2017 including the Stop-Tail model which has the ST model suffix. The red version, shown here, was easily my favorite looking of the lot, but when it first came out it was a Sam Ash exclusive model and I couldn’t find one anywhere. After finally finding this one they became very available which kind of bummed me out because the exclusivity of the guitar was no more and all my efforts that went into finding one suddenly seemed a waste, but aside from that, this is still my favorite combination for the Guild Newark Street T-Bird. Does it sound and play as good as I think it looks? Let’s find out. 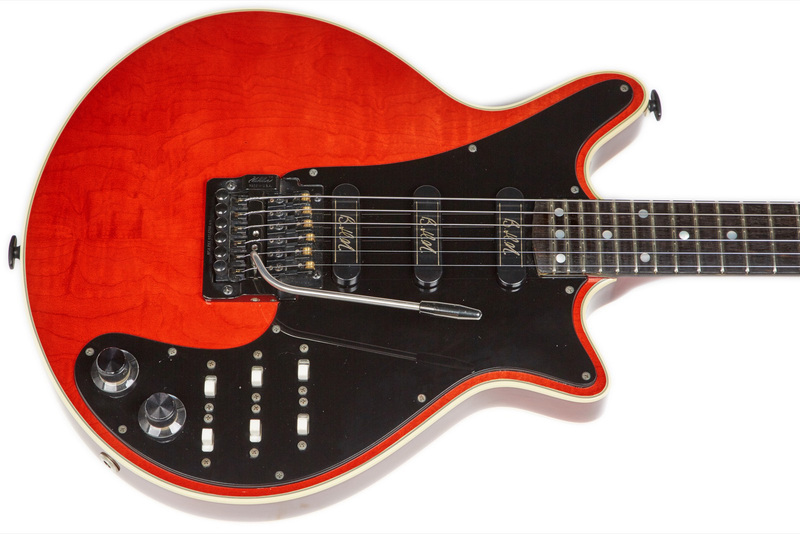 Today’s obsession is a 1983 Guild X97V. If you’ve never heard of that model that’s because it doesn’t exist… well, not as a production model, anyway. So far as I know this is the only one. This is a prototype guitar for a model that never made it into production, and while it’s certainly possible that there are other prototypes of the X97, as I’ll explain it looks like this is one of a kind. 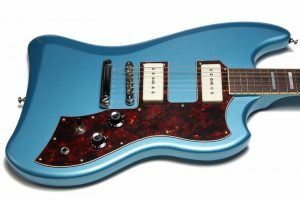 Should it have been a production guitar? I’ll let you decide that for yourself, though it’s pretty clear that Guild already determined that the answer to that was no. Still, this guitar has some interesting aspects to it so let’s take a look at this dangerously pointy Guild X97V. As of this writing the year is 2018. This guitar is from 1982 which makes this guitar 36 years old. 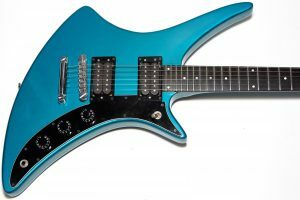 Finding a 36-year old guitar in mint condition is no easy feat, and it took me years to find this Guild X79 Skyhawk guitar in this beautiful unfaded metallic blue finish. 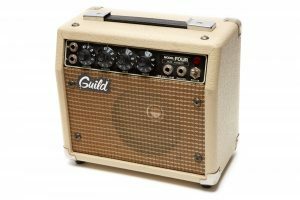 That’s partly crazy because this was a very popular model for Guild, but it’s also partly not surprising for reasons that will become clear in my review. Let’s see how this guitar holds up when viewed through the eyes of someone who really enjoyed the ’80s. I love me a wacky ’80s Guild shredder guitar and there are not many that are wackier than this! 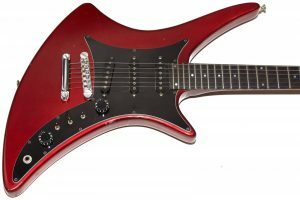 This odd looking instrument is a Guild X79-3 Skyhawk which, believe it or not, was one of the more popular Guild electrics of the 1980s. 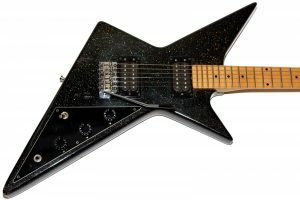 This particular guitar is from 1982 and being an X79-3 varies from a regular X79 in that it has three single coil pickups instead of the X79’s two humbuckers. Being from 1982 also means that it predates many of the strange Guild solid body guitars of the 1980s which is kind of surprising given how unique looking this one is.